We see patients from all over the world at Pelvic Rehabilitation Medicine. The clinical work we do requires face to face time with our patients and a complete examination, so our patients travel to New York City to meet with us. As a potential new patient of Pelvic Rehabilitation Medicine we recommend reading our pages on what to expect and health insurance. Should you have any questions please contact our office. To help plan your trip, we have put together a few travel resources to help plan your visit to our New York City location. Many patients, both male and female, who are suffering from chronic pelvic pain go through treatments which are simple day procedures​. 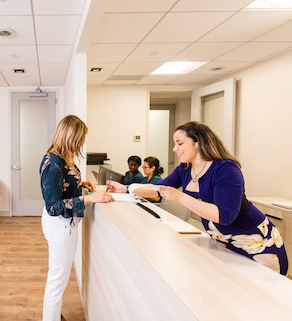 While is it preferable to receive one treatment a week for six weeks we are often able to accommodate different schedules for those patients traveling into New York City. As a potential alternative we can schedule 2 treatments a week over a 3 week period on alternative days. It is important to know that this is an in office treatment, so patients are able to travel the same day. Please contact our office where we can help develop a treatment schedule to fit your needs or visit our FAQ page to learn more.